In the past two years, research shows that companies are paying more attention to disaster recovery. Manufacturing organizations may use factors like RTO (recovery time objective) and RPO (recovery point objective) to establish the acceptable availability percentage for their businesses. Anything that fails to achieve that acceptable threshold yields a substantial (and in some cases, unrecoverable) impact to business. In a recent survey conducted by Information Technology Intelligence Corp (ITIC), 72 percent of respondents consider 99.99 percent to be the minimum acceptable level of reliability for their main line of business servers, up from 49 percent in 2014. How Do High Availability Solutions Fit In? High availability solutions are one of the ways companies meet their desired availability percentage. HA solutions minimize downtime and data loss through replication: data is replicated on an environment that exists on a second IBM i machine, ideally, in a separate geographic location. As changes are made on a production system, they are replicated on a back-up system in near-real-time. This process, in effect, ensures no data is lost in the event of a hardware failure or natural disaster. 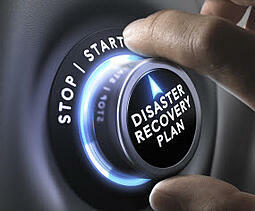 So what does an HA solution add to your disaster recovery plan that you don’t already have? If something happens to your production system, such as a natural disaster, an HA solution can be used to initiate a “failover” where your HA IBM i system assumes the role of your production system. Backups alone don’t support such real-time data replication from your production system and can take significant time and effort to bring the production system back online; nor do backups support planned maintenance activities. In contrast, an HA solution helps you keep mission-critical applications anbusiness processes running smoothly until the production system is repaired and back online. Take a deep dive on HA/DRaaS and how to decide if HA solution is right for you. Find helpful tips in The Ultimate Guide to Disaster Recovery. What’s the The Cost of “Unavailability”? Additionally, in thinking about the cost of unavailability, companies may want to evaluate the validity of their existing downtime policy. Often times, organizations may have multi-day downtime acceptance policies — for example, 48 hours for critical systems and 72 hours for non-critical systems — that have been loosely developed with business stakeholders but never truly tested. In such cases, manual back-up processes have not been communicated across the user community and even a short period of downtime can have costly implications. (For example, shipments cannot leave the facility, order information cannot be provided to pickers in a warehouse, and so on.) Without an HA solution, companies may find that in reality, even a fraction of what was deemed “acceptable downtime” can be more costly and significant than what they had previously accounted for. If you have questions, or would like more information about implementing a high availability solution into your company’s disaster recovery solution, don’t hesitate to contact us at any time. Along with partner TurningPoint Systems, PSGi provides high availability DRaaS (disaster recovery as a solution) systems. PSGi offers IBM i Managed Services that ensure your systems deliver a secure, reliable environment that minimizes the financial impact of downtime and data loss; while TurningPoint provides the Disaster Recovery platform (the “alternate” IBM I system) as well as the software licenses plus implementation required for the data replication. PSGi has the expertise to manage and implement your overall Disaster Recovery Plan, support your DR system and, depending on your needs, your existing customer system. In addition to planning and assisting with failover testing, PSGi works with your business to identify priority applications and mission-critical processes that keep your business running smoothly.